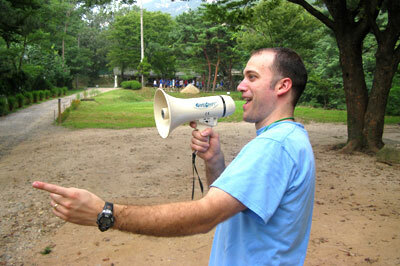 Matt Collier and his brother Aaron Collier traveled to Seoul, Korea, in September 2009 to assist missionaries Doug & Barbara Threlfall and Ken & Rhonda Johnson. 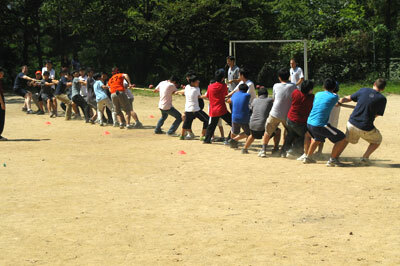 This abbreviated staff training scenario was a bit out of the ordinary: the counselors for camp were the teachers from Seoul Christian School, a ministry of Gospel Fellowship Association in Korea. 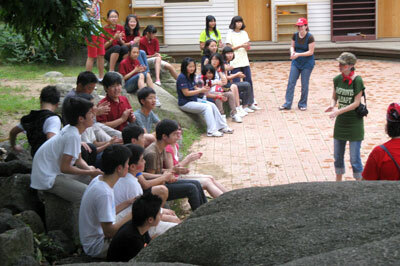 The campers were the students of the school, ranging from Grades 7-11. This seemed to be the simplest way to introduce camping to this group of local churches. 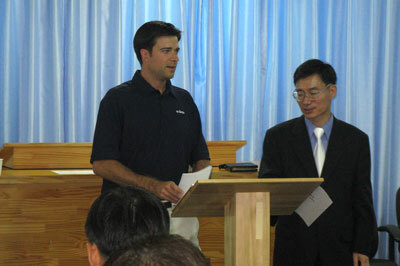 During the training, a number of local pastors listened in and seemed to catch the burden for this type of ministry. We also invited them to stop by the campsite the next week to see the things they learned in action. 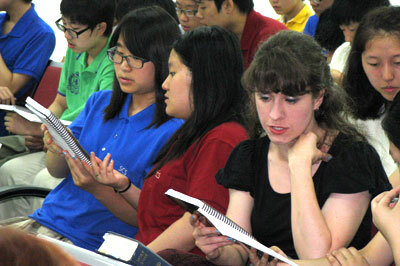 Even though the students profess to be saved, there are many spiritual needs represented in their lives. Aaron preached the morning chapels and I preached in the evening services. Somehow, ministry always seems to be more difficult in affluent nations. 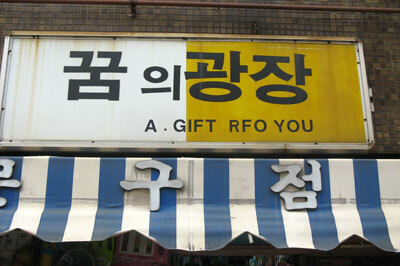 And yet the needs are still great, even here in the capital of South Korea. The facility was surprisingly modern and well-kept. We really never know what to expect, but it consisted of several Asian style buildings (wood porches with entry areas to take off shoes and pagoda style architecture.) We had power and water all week long. 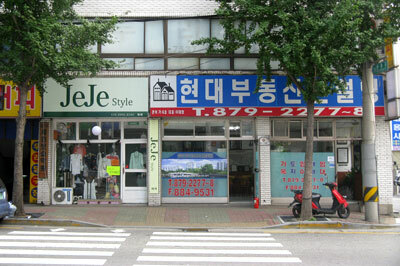 The food was excellent (although our American taste buds have a hard time adjusting to rice and kimchi for breakfast.) The highlight of the week was fried chicken, mashed potatoes, and rolls—boy, were we surprised! The field was small and dirt, but quite flat. Even though this particular retreat center was in the city limits of Seoul, the property ran up to the foot of a mountain and was quite secluded. In fact, the property connected to a state park, allowing us to take the campers on a hike up a mountain. The counselors did an incredible job! 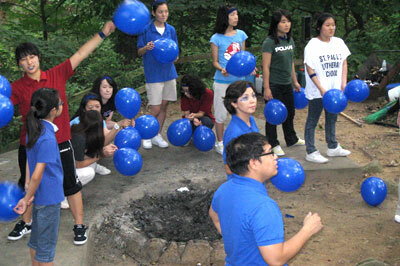 From day 1, they were spirited and showed interest in the campers’ lives. The fact that they were teachers at the school added an interesting dynamic but actually had some advantages as well. Living with the campers for a week did a lot to break down barriers for the upcoming school year. 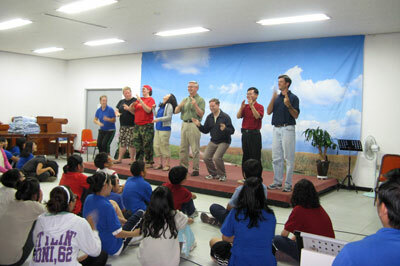 Testimonies at the end of the week showed that camp helped them see the campers with new eyes. Not only did they throw themselves into the competition aspects of camp, but they also did a great job helping the campers spiritually. Having quality counselors makes all the difference! When the campers arrived on Monday afternoon, they had no idea what to expect. The shock on their faces when they came into registration and saw their teachers wearing red and blue and jumping up and down yelling was worth seeing. 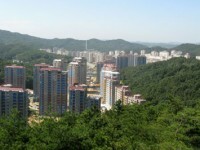 Many of the campers admitted later that they really did not want to come to camp because of experiences they had endured in the past at “Korean style camps”—more of a military approach. But they quickly learned that this was different and began to warm up. They enjoyed the games from the first day but had a harder time in the services. 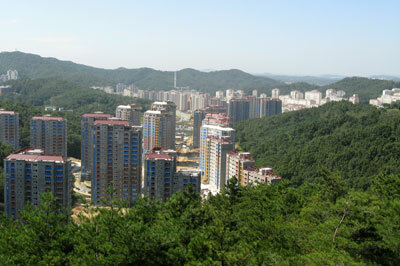 Many of them are from affluent families here in Seoul, contributing to spiritual apathy. The Lord brought good conviction in the service that night. My brother Aaron preached on the very appropriate book of James every morning and really seemed to connect well with the young people. We could tell that many were harboring sin. We really saw how the games, the hikes, Funtime, and Freetime really broke down barriers. As the week progressed, the teens opened up more and more. The Wednesday night service was held outdoors, and several responded for salvation that night with quite a few others settling the issue of their assurance. The Thursday night message on dedication to Christ was a fitting spiritual climax to the week as many teens gave up specific sin issues and others surrendered to do whatever God wants them to do. One boy came up to me and said, “Pastor Matt, I want to be a missionary like you.” Another young lady said that she had dreamed of being a lawyer but surrendered to do whatever God wanted to—even if it meant giving up her dream. Praise the Lord for some real victories. Once again, we see that teenagers are pretty much the same all over the world: same struggles, same needs, same solutions.